Reliance Precision Limited will be exhibiting its breadth of specialist design, manufacturing and assembly capabilities at the W3+ Fair, a show that links the fields of optics, mechanics and electronics and promotes the creation of competitive advantages arising from cross-industry innovations. The W3+ Fair is held at the Rittal Arena, Wetzlar, Germany on the 21 – 22 February. 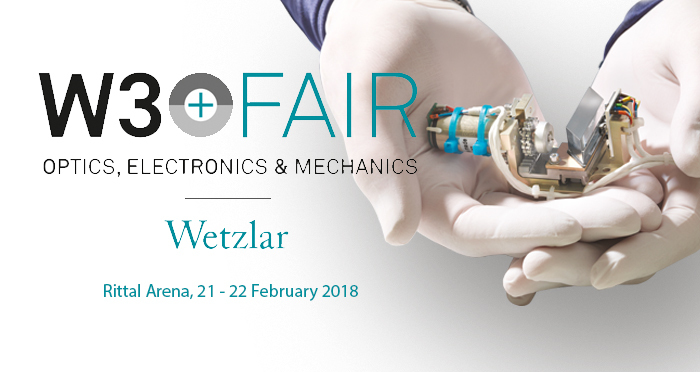 Examples of high performance opto-mechanical sub-systems and high vacuum mechanisms will be featured on the stand, including electro-mechanical sub-systems and precision motion control products. Reliance is an established supplier to global prime contractors and OEMs in the scientific, analytical and medical industries, providing standard and modified catalogue products through to custom designed components and assemblies. Visit Reliance Precision Limited at stand B06a.